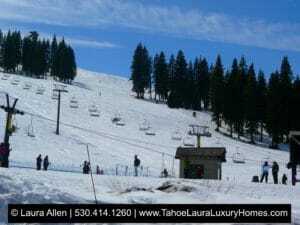 Why Buy a Second Home in Tahoe Donner? 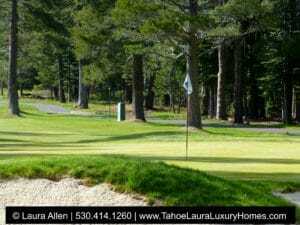 Why buy a second home in Tahoe Donner is a question I often get from my Truckee – North Lake Tahoe second home buyers that are considering all of the different Tahoe Resort communities as options. 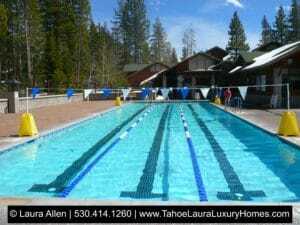 Tahoe Donner is one of the most well-known and popular communities in the greater Truckee area! This master planned unit development is one of the largest in the United States with nearly 6,500 properties, and 25,000 members enjoying over 7,300 acres in the Sierra Nevada Mountains. Tahoe Donner is a favorite for second home owners representing over 84% of the total owners in this Tahoe resort community! Aquatics* | Two different pool centers – one is open year-around, lap pool, recreational/seasonal pools! Snowplay | Seasonal – Some Fees may apply, Sled and Tube Equipment available. Trails* | Seasonal – Over 60+ miles of trails and fire service roads covering over 3,474 acres of terrain, trail map available. * For Members Only | Additional entrance/use/equipment and/or food-beverage fees may apply depending on the activity and location. In my opinion, a Buyer will find that their dollar will buy more home in Tahoe Donner, when compared to other similar Tahoe resort communities in the greater Truckee area. This is also true for condos for sale in Tahoe Donner. More condo for the money in Tahoe Donner too. When Buyers look at the homes for sale in Tahoe Donner they will find that they can buy a larger home, a home with a garage, a newer home, a home with higher-end features, and their selection of Tahoe Donner homes for sale in their price range will be larger than in other resort communities in the area. For 2017, the annual Tahoe Donner HOA fee is $1,900/year with a $385 transfer fee between Buyers and Sellers. An optional additional recreational fee is also available for $270/year. Buyers also like that while they can purchase values passes to their favorite activities like cross country, downhill skiing, tennis, or golf, they can also have the option to pay as they go for only the times they will use the additional fee activities/services. Most of my Tahoe Second home owners know where they want to buy and can easily select the Truckee communities they want to consider. However, sometimes it can be over-whelming when it comes to deciding on which Tahoe resort community is going to be the best one for you. Is it Tahoe Donner, or perhaps Schaffer’s Mill, Gray’s Crossing, Old Greenwood, Lahontan, Northstar, or Martis Camp? 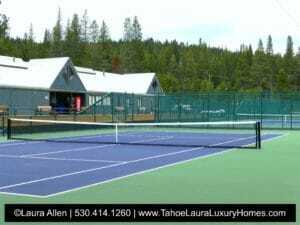 As a Tahoe REALTOR® that specializes in working with Truckee – North Lake Tahoe second home Buyers and Sellers, it is not uncommon for my buyers to find themselves asking, which community is best for me. While there are no wrong choices here, there are some questions you can ask yourself that may help you focus your Tahoe property second home search. Home price | What you are hoping to spend on the property? Include repairs, improvements, and/or upgrades. On-going HOA annual fee requirements – do you have financial restrictions, or a budget you want to keep? Are you prepared for potential assessments? What Tahoe recreational interests are most important to you? Downhill skiing, cross country skiing, boating, golfing, tennis, hiking, biking, or support services like restaurants/shops/lessons/child care? Large HOA membership, or smaller, more exclusive HOA membership? As my Tahoe Buyers go through this list of questions and create their answers to them, they will find the right direction for their Tahoe property search and the best place to buy. As a Tahoe second home Buyer, or Seller you are going to have a number of questions, and I’m here to get you more information and answers. Let me know how I can help you too!